It all started when David and Penny Chapman bought a small creamery in Markdale Ontario, a village just south of Georgian Bay, back in 1973. 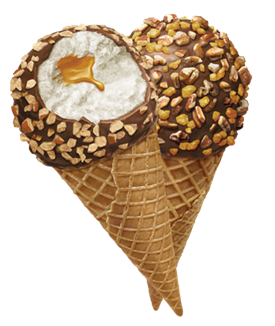 At the time, three big corporations dominated the ice cream market. 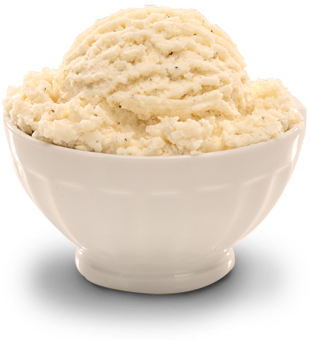 But Penny and David had a dream to start a different sort of ice cream manufacturing company - one that would deliver a quality product at an affordable price, with the personal touch that only a small company could provide. The Chapman family began with four plant/production employees and two trucks, and moved into the cramped and primitive rooms above an old creamery in town. From there, they added a little of this and a dash of that and wrote the recipes that made Chapman's famous. 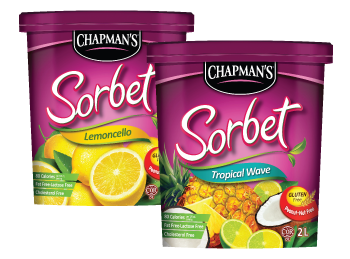 Over the years, the demand for variety has kept Chapman's busy developing innovative new flavours and products. 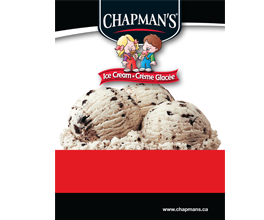 From our classics like Vanilla and Dutch Chocolate, to our more creative flavours like Blueberry Cheesecake, Caramel Coconut Blondie, and Nanaimo Bar Frozen Yogurt, we have a flavour for everyone. 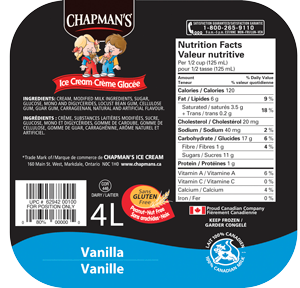 And, we've had fun creating Canadian Vanilla, eh!, a vanilla ice cream that reveals a red maple leaf in every slice. We then honed our recipes so everyone could enjoy our ice cream. It began with a phone call from a peanut allergic, 10-year old boy who lamented the fact that he never had ice cream at his birthday party. 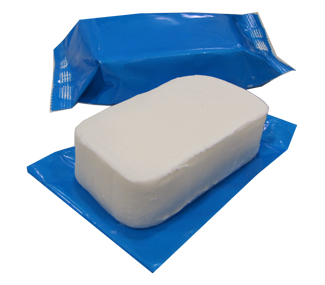 That was all Penny Chapman needed and we got to work creating a line of peanut/nut free products. From there, the demand for ice cream that meets special dietary needs grew. Now we offer peanut/nut free, no sugar added, lactose free, and gluten free treats, recognized by nutritional programs across Canada. 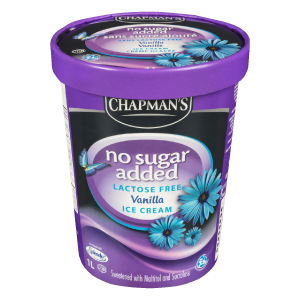 In fact, Chapman's was recognized in 2003 for our "Peanut/Nut Free" red flag labeling on ice cream and novelties, by Anaphylaxis Canada. 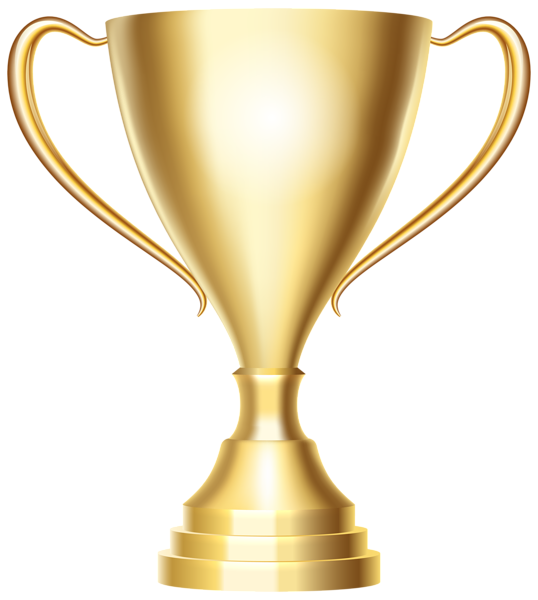 Chapman's was awarded the "Susan Daglish Award" for leadership and commitment to anaphylaxis safety. 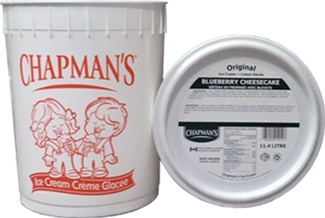 In 2005, Chapman's made several of its products gluten free to meet the needs of those with a celiac disease, or an intolerance of gluten in their diet. Dedication to meeting our customers' needs continues to be a driving force at Chapman's Ice Cream. 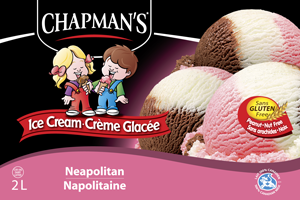 In 2001, Chapman's opened a distribution center in New Brunswick to better serve its customers in Atlantic Canada. 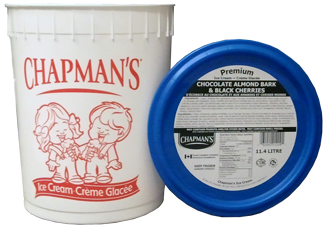 Although Chapman's Ice Cream has grown substantially, it is still firmly rooted in the community and deeply loyal to its employees. 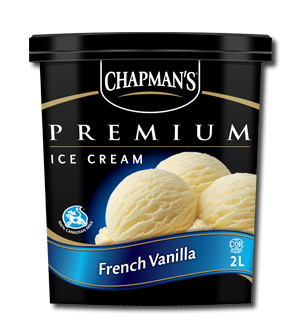 Our distribution centre in Ontario has undergone two separate expansions and now covers about 140,000 square feet and can house over 6 million units of product - that's a lot of ice cream! Also, the distribution centre now boasts a fully self-contained truck garage to maintain and wash over 50 trucks that deliver Chapman's products across Canada. As not to burden the municipal system, Chapman's has built its own wastewater treatment plant to purify the 675,000 litres of water used daily in the cleaning and production processes. Chapman's is currently building onto their system completed in 2000. With a fully contained building, we are installing a reverse-osmosis system to recycle all our waste water into our roof-top condensers. This will allow us to evaporate over 250 square meters of water a day. Business was great and ever expanding until the early fall of 2009. At 10am on September 4th, the unthinkable happened. While preparing for an expansion of a state-of-the-art freezing tunnel, a welder's spark fell between insulated panels. By the time the tradesmen welding a crossbeam noticed there was smoke coming from the building, it was too late. Slowly the fire progressed along the wall, until it hit the old Frozen Warehouse which was made out of wood. Several fire departments in the area tried to control the blaze. By mid-afternoon, the fire was almost under control when the Municipality of Grey Highlands under-sized water tower ran dry. At 5pm the Chapman family withdrew to their family home outside of Markdale, after witnessing 36 years of hard work go up in smoke. Within an hour of getting home, the Chapman family made the quick decision to rebuild their business. Worried about the local economy, and their 350 employees who make up the extended Chapman family, the Chapman's refused to go down without a fight! Shortly after this, the entire management team gathered around David and Penny's dining room table and started planning the rebuild. 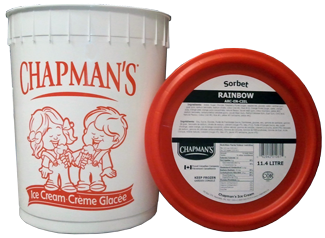 While the production facility was a complete loss, there were two separate facilities left to the Chapman's business; the 65,000 square foot dry warehouse and a 150,000 square foot low temperature distribution centre that was full of ice cream. Yes, surprisingly we had a considerable frozen inventory. The first step was to provide a temporary office so we could communicate to the world and keep selling the ice cream we had! Setting up in the dry warehouse, we quickly reestablished the phone system, and started doing business, albeit slightly different from normal. Working closely with the Canadian Food Inspection Agency, we decided that the newly built and expanded dry warehouse was the best building in the area to start production. Relocating our offices to an abandoned furniture factory, we began to renovate the dry warehouse into a fully functioning production facility. Within 7 weeks from the fire, we produced our first 2 Litre brick of ice cream! In the ensuing months, the community and Chapman's worked tirelessly to build our new manufacturing facility, appropriately named Phoenix. Within a year and a half from the fire, we had rebuilt bigger and better than ever! 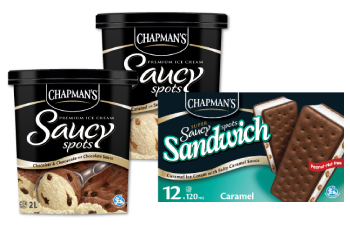 Today, Chapman's is Canada's largest independent ice cream company, with the Chapman family at the head ensuring the same commitment to high quality and great value ice cream. It's the magic blend of all this that makes Chapman's, and the people who make it, perfect - for the kid in all of us. No one else does it quite our way. This is Chapman's. 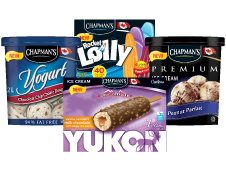 With our Chapman’s logo placed proudly on every package, Chapman's products are enjoyed by families from coast to coast across Canada. 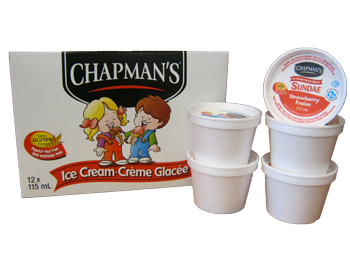 Chapman's Ice Cream stands as a leader in the industry. David and Penny continue to work in the day to day operations and are deeply committed to traditional quality in everything they produce. They continue to lead in ice cream development while others follow. 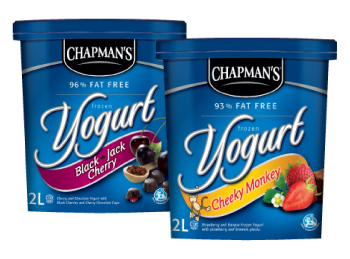 The Chapman's find it exciting to develop new taste sensations and products. Joined by their son Ashley, the dream continues. The entire Chapman’s team puts pride and passion in our products and listens to you, our fellow Canadians, to what you want to see next. 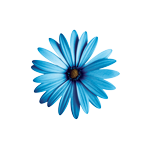 Thanks to the ongoing support of loyal customers like you, the Chapman’s dream is thriving.